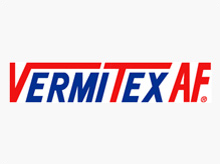 Vermitex® AF is a low density gypsum-vermiculite coating designed for internal use, providing up to four hours of fire protection to steel, concrete, timber, composite and polymer-based materials. Vermitex® DX is a medium density vermiculite-cement blend plus trace chemical additives and lightweight polymer beads formulated for internal use and to provide passive fire protection from a cellulosic fire regime to elements of building construction on a variety of backgrounds. 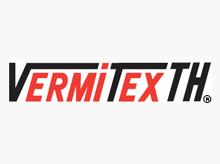 Vermitex® TH is a cement-vermiculite blend which has been formulated to protect concrete, structural steel, alloys and other engineering substrates against the risk of hydrocarbon fires in industrial environments. 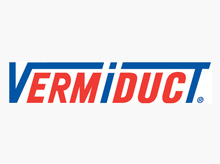 Vermiduct® is the non-combustible fireproofing system for air handling duct systems, developed to provide up to four (4) hours FRL. 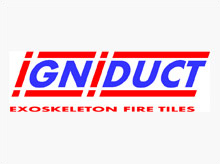 A lightweight fire tile specially developed for use on prefabricated riser shafts, and sheet metal ductwork. 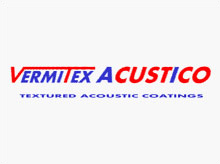 Suitable for ceilings, walls and other interior surfaces, Vermitex Acustico® is a lightweight, easy-to-apply coating that comes in a range of colours and textured finishes to achieve an effective sound abatement combined with an attractive finish. 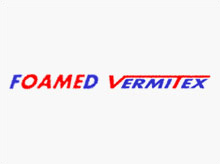 Foamed Vermitex® is a site-mixed inorganic cementitious based product, primarily designed to impart fire resistance to ceiling and floor-ceiling systems. 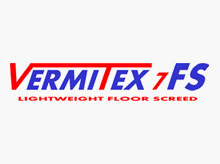 Vermitex® 7FS can be laid over a wide range of substrates to provide an insulated and resilient Lightweight Roof/Floor screed. It is beneficial where combined acoustic and fire resistant properties are required. 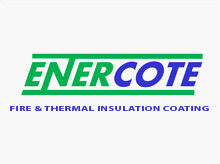 Enercote® is a lightweight cementicious mix of vermiculite, binder and polymer microspheres. It has good hard wearing properties, is water-resistant and can be top-coated with an acrylic base to achieve an architectural texture finish. Compared with plaster based mortars, Enercote® requires a greater thickness to qualify for the same Fire Resistance Level. 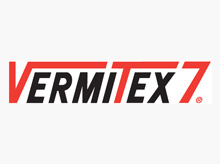 Vermitex® 7 is vermiculite cement blend with trace chemical additives formulated as a primer coat and/or a hard finishing compound.